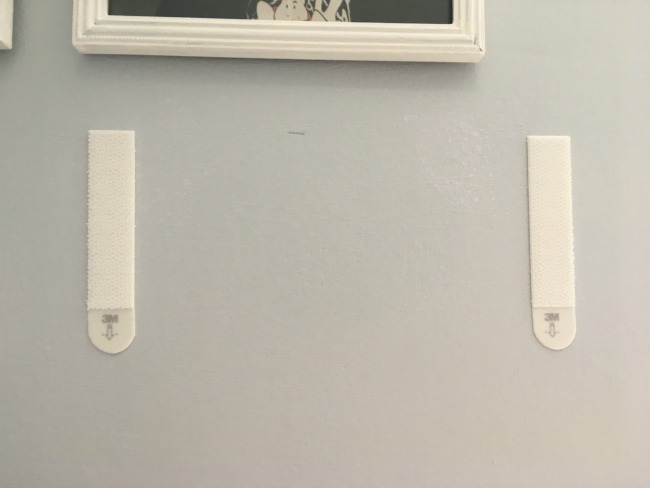 I was given* some Command Strips by 3M as part of my bedroom makeover. I had planned to hang a photo or two on one of the blank walls but found it hard to choose which ones. I then thought it would be nice to make a feature of the photos and hang them in a gallery. 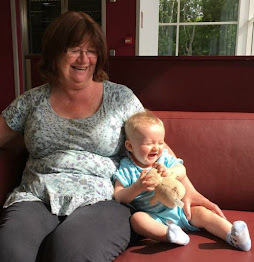 I was worried that it would be difficult to do but needn't have worried. It was so easy so I thought I'd share it with you. 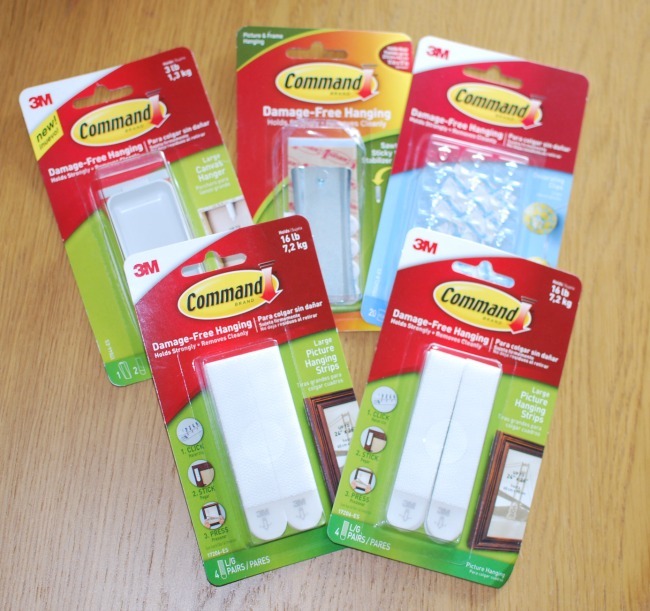 Command have a complete range of fixings, including hooks and picture hanging strips. What I liked about these are that they are easy to remove without damaging the surface they are attached to. 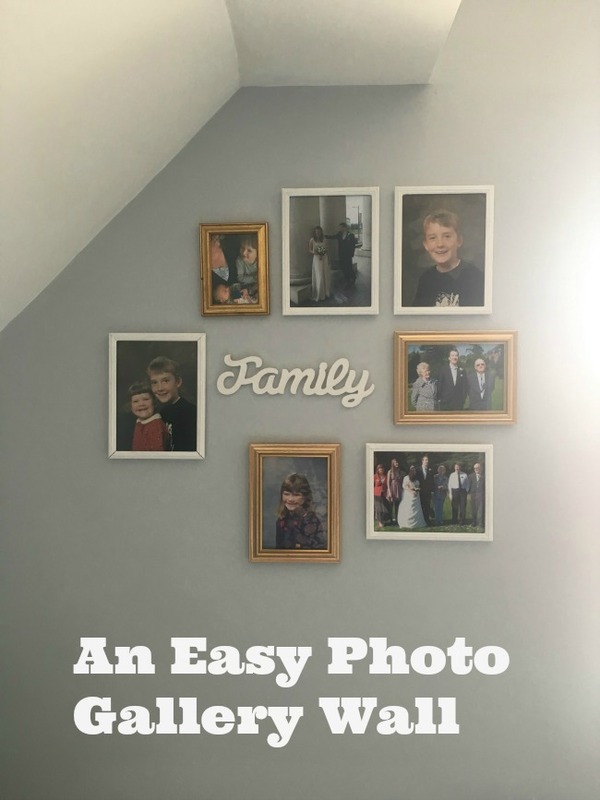 I had already hung a garland from one of their hooks but this was now where I wanted to place my photo gallery. It removed exactly as described on the packet. Each packet of strips holds four pairs. This is enough to hang one heavy picture or two lighter ones. Not as I thought, four pictures! This meant that halfway through my project I ran out and had to go shopping for more. That will teach me to read the instructions properly. The fixings consist of two strips that have adhesive on one side and a grippy loop and hook on the other. These are pushed together until a satisfying clicking noise is heard. 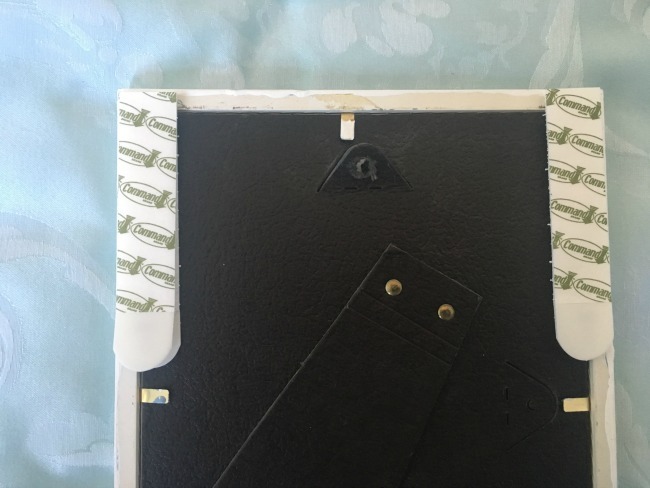 They are then stuck onto the back of the picture frame and then the backing paper is removed and the picture can be stuck onto the wall. That's it. It really is that easy. 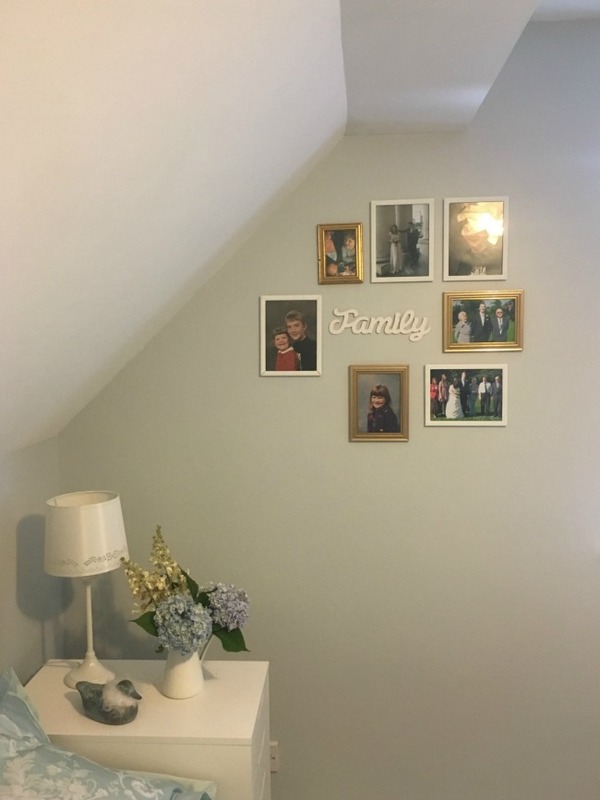 It's not difficult to plan a pleasing picture wall and I have a few tips to make it foolproof (if I can do it so can you). Decide where you want to have your gallery. 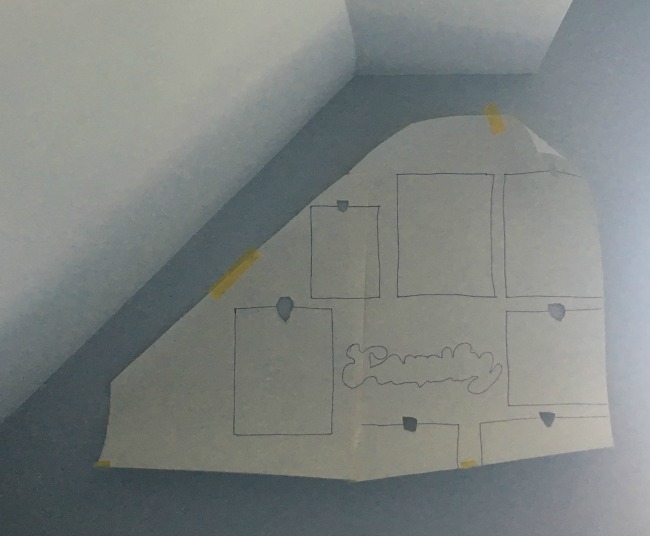 Mine was on a wall with a sloping ceiling so I cut a template from paper. Place your chosen pictures on the template and rearrange until you are happy. 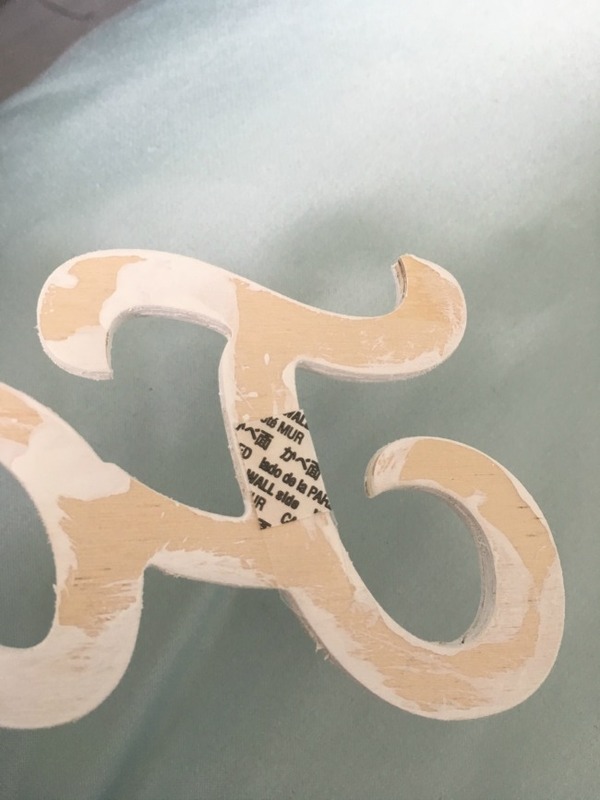 Include some other items to make it interesting, I used a wooden "family" plaque that I painted white to match the frames. Then draw roughly around the frames and place the template on the wall so you have an idea of the finished look. The simplest is having all the frames the same and hung in rows. To make it more interesting the frames can be different and placed in a random pattern but there needs to be a theme running through. I found it easier to paint some of mine white so they matched and teamed them with some gold frames I had. When placing the frames keep some lines level. The pictures in each row are all level even though they are not placed in strict rows. 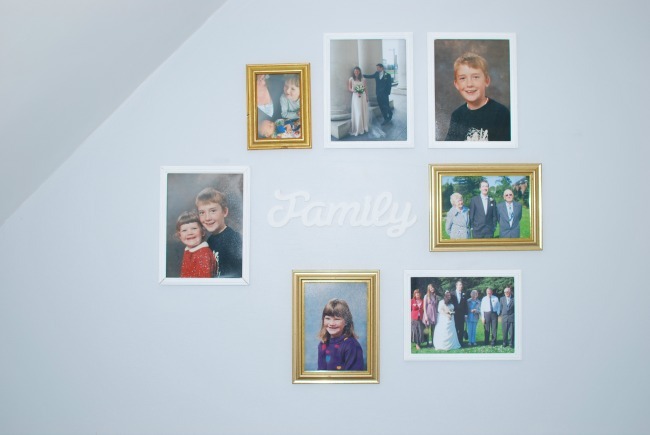 By placing the frames in a less formal pattern it is easy to add more whenever you wish. I then placed the template on the wall and had cut little holes so I could faintly mark the wall. When I was happy with the layout I placed my first picture. I did use a spirit level to ensure they were level but you could do it by eye. One by one they went up and within half an hour I had a photo gallery wall. 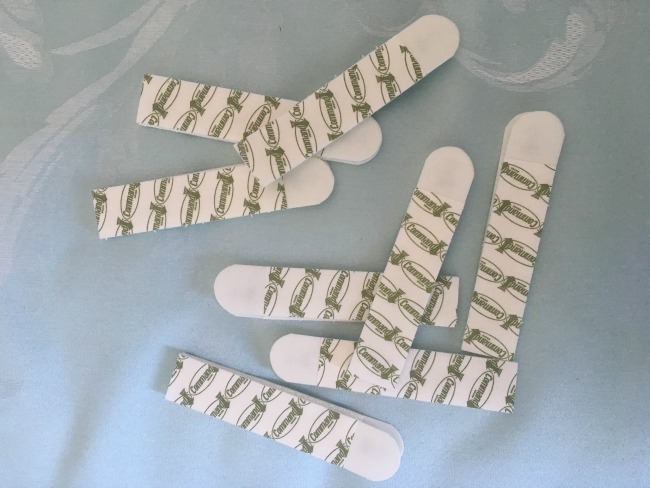 It is suggested that once the pictures are on the wall to remove them, press the strip to ensure it is firmly stuck to the wall and wait an hour before replacing the pictures. I did this with some but they didn't weigh much so didn't do it with them all. I hope I don't find them on the floor tomorrow! 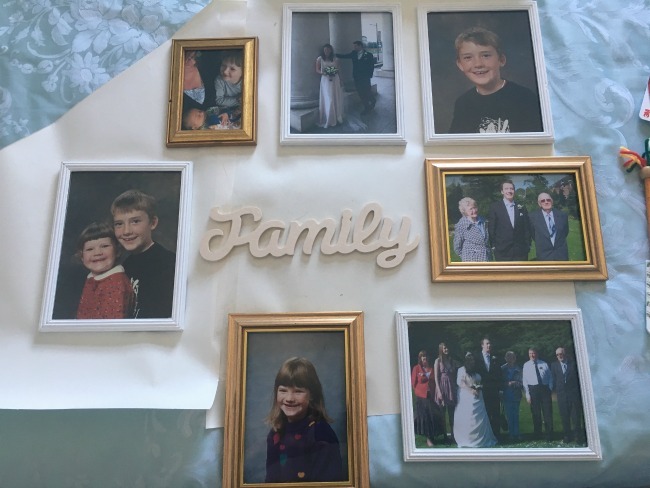 Once the picture has been pushed against the wall, carefully remove by pulling from the bottom, then push the strips against the wall to ensure they're stuck firmly. Leave an hour before replacing the picture. The strips were too wide for my plaque so I used the adhesive from a packet of hooks. It makes it secure and I can still remove it later, should I wish, without damaging the wall. 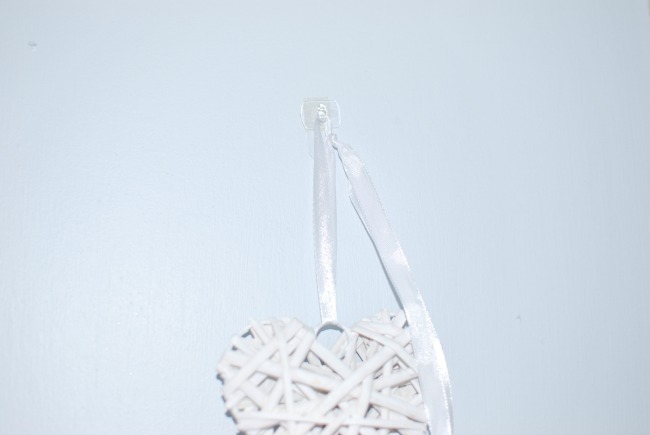 The hook in action holding a heart garland. It was really easy to remove without damaging the wall. I really liked these strips, I found them easier use than picture hooks and would be perfect for anyone not allowed to use permanent fixtures. The only thing I would do differently is use a wall opposite a window, not a window wall. It looks amazing and I love it but it is so hard to photograph properly. There is always too much light or with the blind down it's too dark! 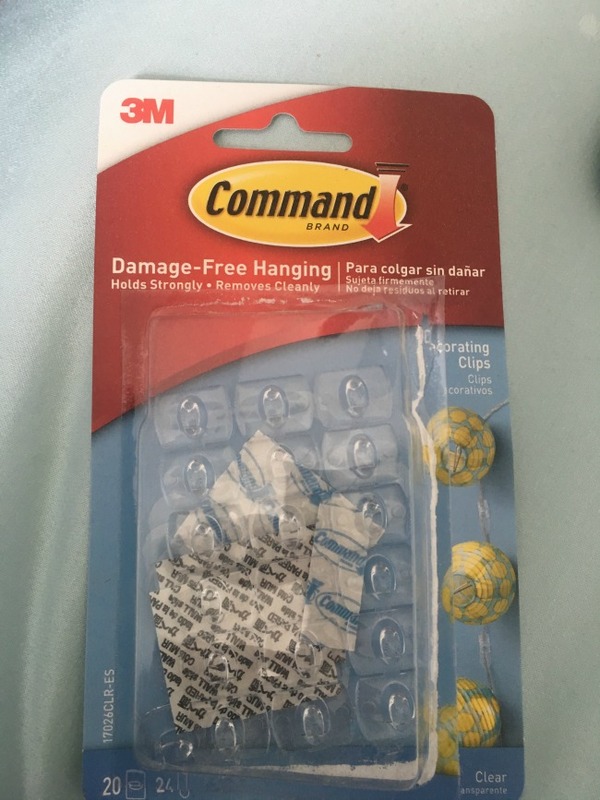 *I was gifted some Command products for my room makeover but liked them so much I bought more and chose to do a full review. All opinions are honest and my own. These are a brilliant idea! Going to order some at the weekend as we've got a load of pictures we need to put up! The damage free hanging looks so convenient and easy to use according to your tutorial. I love those photos and the photo layout. I will definitely be getting these strips to make mine.